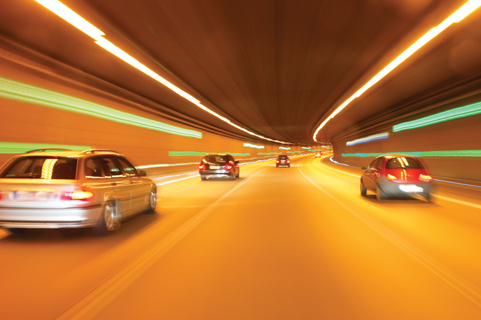 A complete traffic management system for tunnels comprises of LED variable message signs, traffic counting equipment, weather stations, CCTV surveillance and accurate incident detection. Dynamic traffic management for lane control ahead of tunnels and lane assignment inside tunnels is achieved with the efficient use of LED VMS signs. Through real-time analysis of CCTV images, all major incidents are detected within seconds including stopped vehicles, wrong way drivers, queues, pedestrians, smoke, slow moving vehicles and fallen objects. LIFE has been especially developed for tunnels where ceiling height is limited. It has a stair shape and is very small in size but with excellent visual perception. The growing appearance of the sign as the driver approaches makes it easily noticeable. The outstation Primos Modular has many applications: acquisition of traffic data, axle loads and environmental data, control of variable message signs, ramp metering and traffic control in the course of road tunnels.